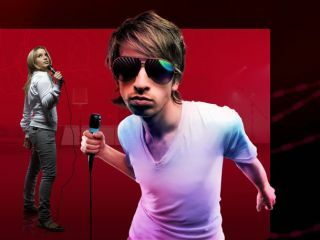 SingStar, the PlayStation game which, for better or worse, brought karaoke into living rooms everywhere has finally embraced the wireless age. While the game has been a firm favourite for wannabe singers, annoyingly SingStar has only been available with wired microphones. This has meant that it has started to look dated in an age when every gaming peripheral is going wireless – from Guitar Hero guitars to Nintendo Wii steering wheels. On the game's MySpace page, it was announced that the mics are complete and are currently going through public testing. They should arrive sometime next year. Lips, the Xbox 360 rival to SingStar, arrived this year with wireless mic capabilities but a severely depleted music catalogue. An added boon is that the mics are said to be compatible with both PS2 and PS3 machines.